Written by Taylor Harpster. Media by Joey Clinton. With the season of Resident Chaplain (RC) applications quickly approaching, knowing a little bit more about one of the coolest student positions at GU is important. As someone who is in their second semester as an RC, I wanted to share with you some of the things I have learned since coming into the role, as well as some tips for you as potential RCs. Resident Chaplains ≠ Police. I wanted to address one of the most common misconceptions that I have encountered since stepping into the role. RCs are not the police, meaning we do not enforce the rules and dish out punishments. However, our job is to encourage the community to uphold a certain standard (according to the Lifestyle Statement) in order to help everyone thrive and grow as individuals as well as a larger group. You can’t (and hopefully won’t) do everything. One of the biggest things that I’ve learned since coming into the role is that I am a human being with limitations. I cannot and will not be able to do everything, and I have a staff team behind me that is willing to support me where I fall short and where I mess up. 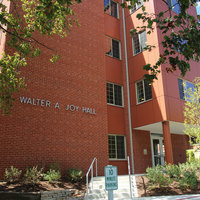 Joy Hall, where Taylor acts as an RC. Be honest with yourself and others. One of the best things that you can do is be honest not only with others but yourself. Pushing yourself too far, not getting enough sleep, not getting enough to eat, etc. can cause burnout and as busy as life can get, that is one of the last things that you need. Stereotyping people only sets you up for failure. Give people the time and the opportunity, and they will greatly surprise you. Putting people in boxes in your mind according to what sport they play, what their major is, or what kind of music they listen to will only cause you embarrassment later when they fail to meet the expectations you had about them. 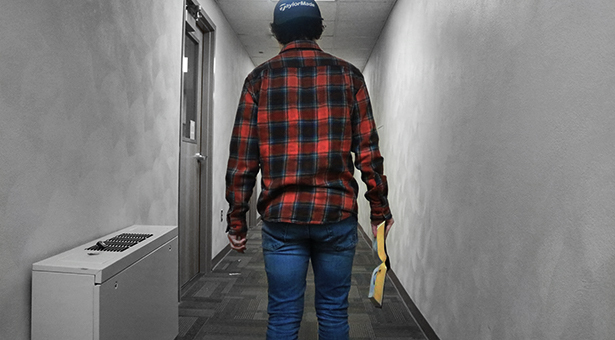 Everyone is unique and some of the coolest people that I have met do not meet any stereotypes that I originally thought. Take time for yourself. Over this last year, I have found importance in taking time for myself and taking time to be alone to recharge. Being game-faced 100% of the time is not something that is required of us as Resident Chaplains. Your staff hopefully should understand your need to spend time recharging and being alone. That being said, part of being an RC is planning/running events, so be prepared to be present when you need to as well. Organization is key. Before this year, and even sometimes now, I find myself to be an unorganized nightmare. Between classes, my 2 jobs, and the extracurriculars that I participate in, it can be easy to drown in my responsibilities. One of the biggest things that I have learned is to stay organized. Keeping myself and my responsibilities organized allows me so much more freedom to spend enjoying some of my hobbies that I am not required to do on the day-to-day. Being an RC does not mean that you are a counselor. Sometimes people think that as an RC you are supposed to give relationship advice and other kinds of advice to your residents. This is not the case. Being an RC means that you come alongside people where they are to help them grow in themselves and to become more independent. One of the best ways to help residents grow is not by giving them advice and telling them what to do but rather empowering them on how to problem-solve for themselves. Have fun! Being an RC is not always a serious job; that would be boring. As someone who can be very energetic, being serious all the time is not something that I ever want to be good at. Having fun can bring enjoyment into a role that has the potential to become dull if you let it. Wow! Great representation of what an RC actually does!